Last week, MX Sports, the company that runs both the Lucas Oil AMA Pro Motocross Championship and the Rocky Mountain ATV/MC AMA Amateur National Motocross Championship held every year at the Loretta Lynn Ranch, announced that electric motorcycles will not be allowed to compete in any class in 2018 at Loretta Lynn's. The gate dropped instantly on the debate. Thousands of posts have already appeared on motocross forums taking all sides of the issue, from MX Sports is responsibly doing its due diligence to conspiracy theories about the major maufacturers trying to squeeze electric startup Alta Motors, whose Redshift MX and MXR are the race-ready choices at this moment. 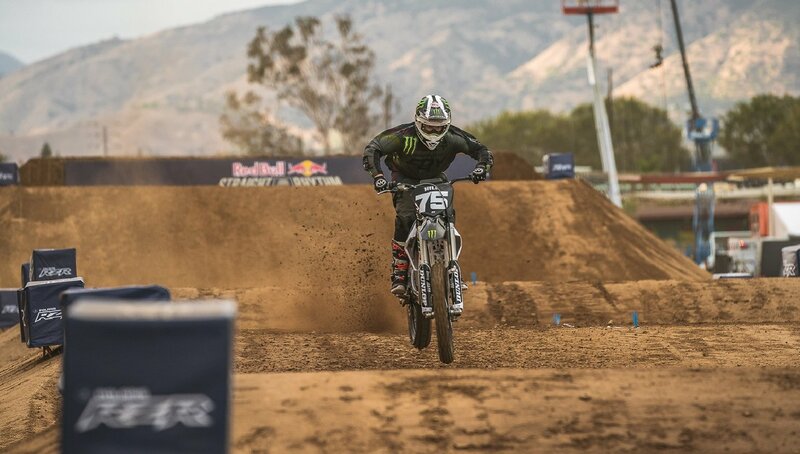 Josh Hill raced the Alta MX in the Red Bull Straight Rhythm event last year, but it is not yet eligible for pro motocross racing. Alta photo. Current AMA rules for amateur motocross allow electric motorcycles to compete — at the race promoter's discretion. MX Sports decided they would not be allowed at the pinnacle of amateur motocross. Every year, more than a thousand top amateur riders, after a two-stage qualifying procedure, travel to the Loretta Lynn Ranch in rural Tennessee to compete for national titles in 36 classes. Those classes include 51 cc classes for 4- to 6-year-olds, classes for teens and tweens, A, B and C classes based on displacement, separate classes for girls and women, and Vet classes for adults. Obviously, the Alta bikes could only be considered for a few of those classes, such as the ones currently dominated by 250 cc or 450 cc four-strokes. So why did MX Sports say a blanket "no" to electrics? MX Sports President Davey Coombs wrote a long explanation in his weekly Racerhead column published online at the RacerX web site. Coombs spent a lot of the column regretting the decision to allow 450 cc four-strokes to compete against 250 cc two-strokes in the 1997 AMA Supercross and motocross seasons. That decision led to the disappearance of two-strokes within a few years and one reason Coombs regrets it is because he was part of the board that made the decision. Now, he wrote, he is determined not to repeat the mistake of letting a radically different bike compete without having full information. "When we were discussing the rules to allow four-strokes, never once was it intended that we introduce four-strokes as a means to kill off the two-stroke market," Coombs wrote. "The facts are that we got the math wrong." Everyone agrees that it's hard to determine an equivalency — how do you decide if an Alta Redshift MXR should compete against 125 cc two-strokes or 450 cc four-strokes or what? That complexity increases because the electric vehicle industry is evolving so fast. This year's perfect rulebook equivalency could easily be next year's unfair disparity. No battery power on the starting gate in 2018. Alta photo. Coombs' thorough explanation just left one question unanswered in my mind, however. Why not run an experiment? In the Vet classes, for example, the only limits are riders' ages. You can ride whatever motorcycle you want. So why not let electric motorcycles compete there? For an answer to that, I called MX Sports Director of Events Tim Cotter, the man who has been on the front lines running the show at Loretta Lynn's for decades. Cotter said he's been avoiding some of the testy online discussions, but he denied the conspiracy theories. "This is not about money," he said. Cotter said the best way to start allowing electric bikes to compete at the top amateur level would be to create a separate class for them. Expanding on Coombs' point that electric motorcycles are radically different from gas motorcycles, he said it will take a lot of careful thought to integrate them fairly into existing race classes. 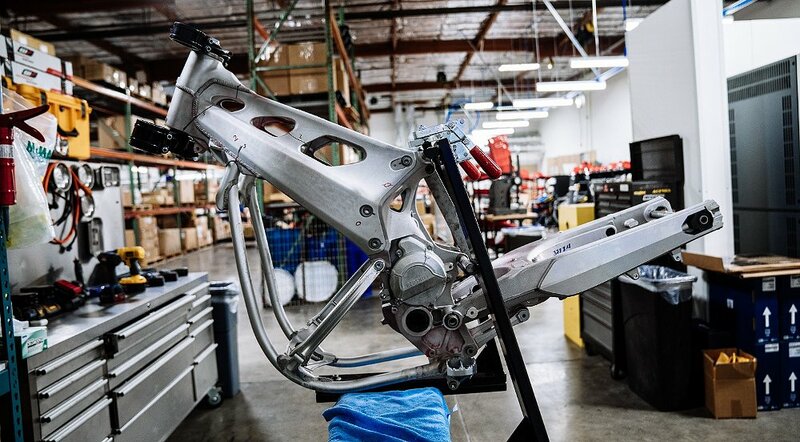 "How do we frame a rulebook around electric motorcycles? How do they integrate with combustion-engine motorcycles? I think that's a really big topic and not one that's going to be solved in a couple of hours," Cotter said. "We know electric bikes are coming," Cotter said. "We will welcome electric bikes when we're ready and we understand them. I just don't believe we're ready and I don't think we should let them walk into the highest level of amateur racing." If you've never been to the Amateur National Motocross Championships at the Loretta Lynn Ranch, it's hard to understand how important it is to kids all across the country who work hard just to qualify for the event to compete for a national title. Photo by David Smith/Racdaypix.com, provided by the AMA. I think that Cotter's description of the event explains a lot. If you've never been a part of the amateur nationals at Loretta Lynn's, it's hard to understand how much it means to some people. It can look like just a plot of middle-of-nowhere country ground that's always either dusty or muddy, depending on the rain, and definitely always too hot and muggy in August. But for many of the people who struggle just to qualify for the event, or for families who scrimp and save and drive cross-country to get their kids there on competitive equipment, or for those kids who see it as maybe their one shot at pro stardom, it's a sort of holy ground. It was Davey Coombs' father who invented the nationals at Loretta Lynn's. When you're the caretaker of holy ground and family legacies, you're cautious about change. I think that goes a long way toward explaining why Tim Cotter says he has no problem with electric motorcycles competing today in amateur motocross "any place else except Loretta Lynn's." I'm not a motocross expert and nobody asked for my take, but I'm going to give one anyway. I've thoroughly considered Coombs' and Cotter's arguments, but I still believe it's time to open the door. Not all the way. Just a crack. With 36 classes at Loretta Lynn's, there's surely one open-displacement class where we can let electric motorcycles compete as a test. Blake Wharton tests an Alta motocrosser. Alta photo. Coombs and Cotter both say we need more information before deciding how electric motorcycles fit in, but the only way to get that information, in reliable form, is to let the top amateurs race them in competition. No data from Alta's engineers or race results from some one-off local event will provide as much insight. What's the worst that can happen? That a lesser rider will come in on an Alta MXR and win the Vet 40+ class when he wouldn't have won on a Honda CRF450R or a KTM 450 SX-F? If life isn't fair, the Vet classes are no different. Say you're the 41-year-old amateur training and holding down a full-time job and racing weekends to qualify for Loretta Lynn's, and you arrive to find that one of the top AMA Supercross pros from 15 years ago decided to come out of retirement and bring his well prepped race bike to Loretta's to relive a bit of his youth and throw roost in your face. It happens all the time. If you're that guy, you eat dirt and lose. Allowing an electric powertrain onto the starting gate is no less fair. Fairness says if the class allows you to run any displacement of internal-combustion engine, then it should allow you to race on battery power, too. But more importantly, we'd gain information, and that's what everyone says we need more of to be able to integrate electrics into motocross. So, I say, let's start gathering information.